The Historical Society is staffed entirely by volunteers. We are very happy to open for you at your convenience. – the location is new and the files are old!! Join us for an old fashioned ice cream social as John Inscore Essick explains the history of ice houses and shows us a closer look at 2 ice houses in Henry County. Suzanne Nelson - "One Soldier's Story", the story of the WWII experiences of Suzanne's father-in law told through stories, pictures and letters. We will fur-nish the chicken and drinks, and members are requested to bring a dish to share for a potluck dinner. The Henry County Historical Society is a qualifying 501 3(C) organization? Donations to the Historical Society may* be deductible on your income taxes. Renew your membership TODAY or purchase from our Ye Olde History Shoppe." Did you know that oil test holes were drilled in Henry County? Caution Gentlemen, or you may be fined for whipping your wife! Eminence had an Ice Factory and the Western Military Institute had a "double barreled" shooting accident! Volunteerism helps the Historical Society fulfill it's mission. Volunteer hours may be useful in acquiring grants for projects and improvements. Volunteers meet many people and forge new friendships...and that's just for starters! There are numerous volunteer opportunities, there's certain to be one just for you. 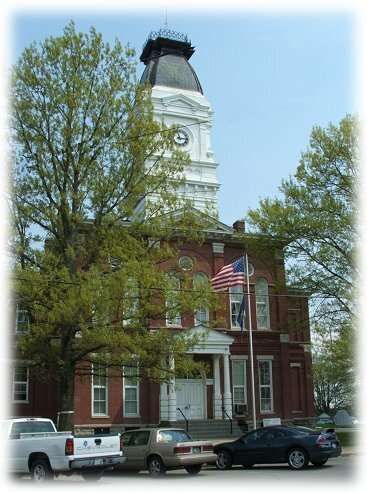 The Henry County Historical Society has a responsibility to protect and preserve historic documents reaching back in our history to the 18th century. We have already undertaken many of the duties involved but there are so many fragile documents and we need more ARCHIVAL SUPPLIES. ARCHIVAL SUPPLIES are specific to prevent damage and our storage format, and they are expensive. We are requesting and welcoming funding contributions from members and non-member so we can further our mission of protecting these delicate documents. All donations to this cause are appreciated and deductible as we are a recognised 501 3(C). PDF APPLICATION to print, fill out, and submit with your membership dues. Packed with information and pictures you'll enjoy studying over and over! Shop anytime! First time heard in decades! 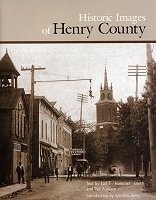 The Henry County Historical Society is soliciting old photos and documents of Henry County families and history. We can scan and return your submissions quickly. Please Share with us and enlarge our County's story. 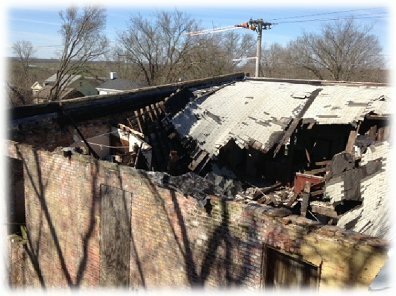 In March of this 2015, a heavy snowstorm caused a collapse of the roof of the Historic Odd Fellows Building. This particular Odd Fellows Chapter is unique as it became home to the Grand United Order of Odd Fellows Washington Lodge #1513 in 1886. This organization was founded by Former slaves in 1872 just following the end of the Civil War. This lodge is the only remaining active Grand United Order of Odd Fellows Lodge in Kentucky and possibly the oldest African American fraternal organization in the state. For more information please contact New Castle Main Street Manager Jeff Thoke at 502-645-5421, New Castle Preservation Board Chairman Joe Yates at 502-845-4441, President of Odd Fellows Washington Lodge #1513 Richard Smith at 502-330-4908, or Friend of the Odd Fellows Sandra Smith at 502-232-0929. UPDATE: The wall is now stabilized, the building is under cover, but plenty of work remains. In the meanwhile there is now in place a historical marker at the sidewalk right in front of the building. Thanks to all that made this possible and continue to preserve our history. After 35 years, thanks to the diligence and hard work of Shanda Archer, our Deed Books, 2 – 21, have been returned to our care and keeping. Thank you Shanda! June 17, 2019, 6:30 pm - Port Royal Baptist Church - Join us for an old fashioned ice cream social as John Inscore Essick explains the history of ice houses and shows us a closer look at 2 ice houses in Henry County. September 16, 2019, 6:30 pm, Extension Office, Suzanne Nelson - "One Soldier's Story", the story of the WWII experiences of Suzanne's father-in law told through stories, pictures and letters. We will fur-nish the chicken and drinks, and members are requested to bring a dish to share for a potluck dinner. Saturday, October 12 - Drennon Springs History Day. Join the Drennon Springs community for a fun and interesting day of events including: Mike Grimes’ Drennon Springs book release, storytelling hour hosted by Eleanor Sharp, Western Military Institute cadet re-enactment by Alice Faye, Historic tour of Springs and sites and more. Saturday, November 9, 11 am - 5 pm - Arts and Letters Day—Kentucky authors reading and signing their work, along with a show and art gallery at the Berry Center. We recommend you also subscribe to the opt-in news announcements, here.